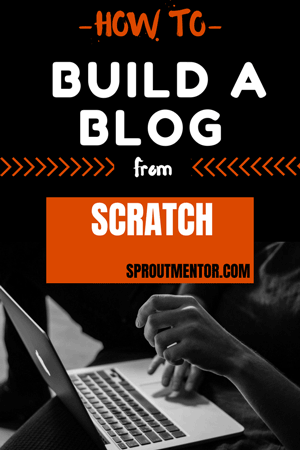 D o you want your blog posts or online business to rank on page 1 of Google and other search engines? I know every online entrepreneur wants that, but there is a price to pay, which is knowing how to do keyword research. In this post, I am going to show you a highly actionable keyword research process, which I use to find the right keywords for my blog posts. You do not need any technical expertise or experience to understand this how to do keyword research tutorial because it is simple and newbie-friendly. Also, I shall only use free keyword research tools in this tutorial, which makes it even more convenient for you. We cannot talk about keywords without understanding how search engines work. Search engines, such as Google, Bing, and Yahoo among others, are systems which find information from databases on the World Wide Web. The search phrase or word you enter on the search engines is what is referred to as a keyword. Therefore, keywords are topics or ideas which help search engine crawlers to find information on the web quickly. Thus, this means that if you want your online business or blog posts to rank on search engines, you must learn how to do keyword research like a pro. They help search engines to return the best results to people searching for information on the web. Therefore, to create content which people are looking for, you must know how to do keyword research. They drive free organic traffic to your site from search engines search results. 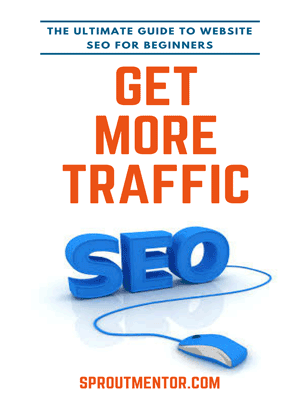 More traffic equals higher page views, which results in making more money from your online business. They will help you stay relevant to your target audience because keywords are hints of their problems and needs. All you have to do is use those keywords to create better content, products/services and solutions to their problems. There are many keyword research tools both free and paid, which you can use to find the right keywords. In this keyword research tutorial, we shall you two free keyword research tools: Keyword everywhere and Ask The Public. A) Visit this link Keyword everywhere and choose the web browser (Chrome or Firefox) option, which matches the one you use. C) Input an email address where the API key will be sent. D) Copy the API key then paste it on the Keyword Everywhere “update settings option” as shown in the image on the right. E) Finally, we need to test to see if it works by running a search on Google. If your results have the metrics shown with arrows in the image on the left, then that means that your keyword research tool is ready for use. This step of this how to do keyword research process is more like a brainstorming session. The purpose here is to get a broad topic/keyword which we can narrow down into more specific keywords in subsequent steps. B) Browse through all the questions and click the “star” to add all the keywords with a search volume above 1000 to Keyword everywhere favorite tool. The star should change from white to yellow as an indication that it has been added to the favorites list. D) Download the keywords CSV file for further analysis. Keep this file safe because we shall use it in all the other subsequent steps in this how to do keyword research guide. Long tail keywords are search phrases which are longer with 4 or more words. Long tail keywords are the best to use, especially for new businesses, because they have less competition, high click-through rates and they represent the searchers intent. A) Go back to the CSV file with keywords you downloaded in step three above then arrange/sort the keywords by search volume from the largest to the smallest. B) Pick one of the keyword from the list- any option which catches your attention or matches your keyword research goals is okay. For example, I will pick the first option “WordPress login.” Visit this link Ask The Public and enter “WordPress login” in the search box. C) Browse through all the questions and click the “star” to add all the keywords with a search volume above 300 to Keyword everywhere favorite tool. C) After you are select all the relevant keywords, go back to your Keyword Everywhere extension “my favorites keywords” option, and download the CSV file for all the marked keywords. Note: You can repeat the keyword research process in this step again with one of the keywords in the final CSV file to find more specific long tail keywords. For example, you can repeat the process a to d above with “WordPress login admin” keyword. In the steps above I have shown you how to do keyword research with two free tools. Search volume is the number of searches a given keyword receives over a specified period. You do not want to choose a keyword with zero, too low or too high search volume. Zero search volume means no one is searching for that keyword on search engines. Too low search volume (for example 50-300) means very few people are searching for that keyword, and so your content is not likely to reach a wider audience. A keyword with high search volume (for instance 10000+) is highly competitive, and you may never rank for it because other businesses with higher page authority (PA) and domain authority (DA) than you have a competitive advantage. Therefore, your right keyword is the one which has a balance and does not fall in the three extremes above. This is a number (0-100), which shows how hard or easy it is to rank for a particular keyword. The lower the number, the easier it is to rank for that keyword, while the higher the number, the tougher and challenging it gets. For example, most SEO experts, such as Rand Fishkin agree that scores in the 20-35 range are suitable for beginners, 36-50 for medium businesses, 51-65 for grown brands, and 66-80 for prominent, popular and established brands. Note: If your online business or blog has a low DA and PA you should focus on keywords with low difficulty scores. There are many tools you can use for this purpose, such as Moz keyword explorer, KW Finder and SEMrush keyword difficulty tool. For example, I used “WordPress login page” keyword, and this is the keyword difficulty results below from the three tools above. Remember you want to choose keywords which match your business level (PA and DA). For example, if you have a PA of 12 and DA 11, you cannot begin to chase highly competitive keywords because you will never rank for them. You can use Moz open site explorer to measure your blog or website PA and DA right now. You need to install this fantastic Google Chrome extension to your browser first before you can use it. Paste or type your keyword on Google and turn on MozBar extension from the icon on your browser toolbar. So the goal here is to find if other businesses with a lower, similar or slightly higher PA, DA and referring links to yours are ranking for the same keyword. If they are, then you are good to explore that keyword because it is an indication that you can also rank for it too. Never forget that you are writing for humans, not for search engines. Thus, the keyword you choose must blend naturally with your content. I know you do not want to make it obvious to your readers that you are trying to obey search engine rules of using a certain keyword. Therefore, the right keyword is the one which will allow you to write naturally for your audience. Moreover, the keywords you prioritize must be those which match with the needs of your target audience and the motive of your keyword research process. Some keyword is more relevant than others based on the season or trending topics. Thus, choosing the right keywords also means picking those that match the season. Nice post however what kind of content you would write for the keyword ‘wordpress login page’. Just choosing keywords is just a half process in keyword research. Thank you for appreciating the posts. It is very True that keyword research is just the beginning. The aim of the posts was to show how to do keyword research with free tools.